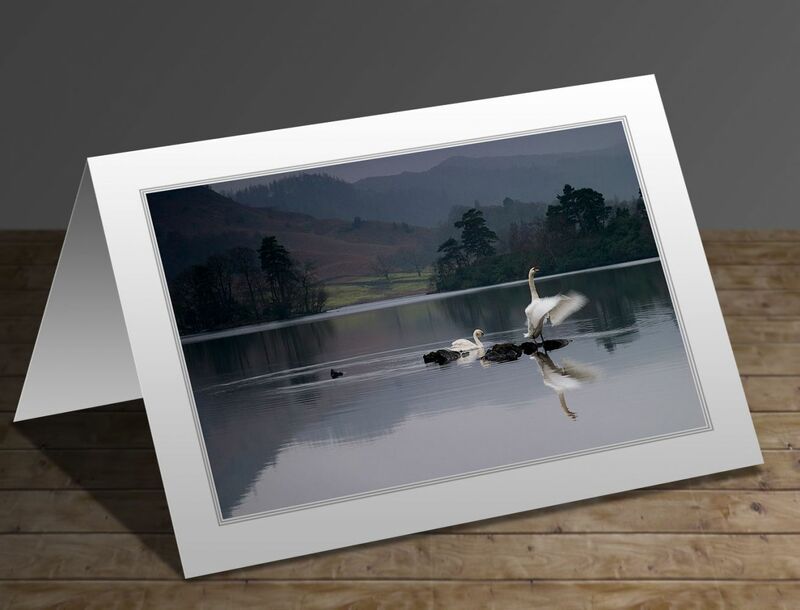 The write-up on the reverse of this greeting card will be 'I’d passed Rydal Water on my way up to Keswick often and seen this pair of Swans together. So I got up really early one day and made my way back to the lake. I had this picture in my mind of the female swan in the classic pose with the male displaying in front of her. I set up my tripod, focused on them and waited. I lost count of how many shots I took trying to get the image that was in my mind, but finally it came and this is the result'.